Little Sparkles Of Light: Witch Face Wash And Blemish Sticks Review! 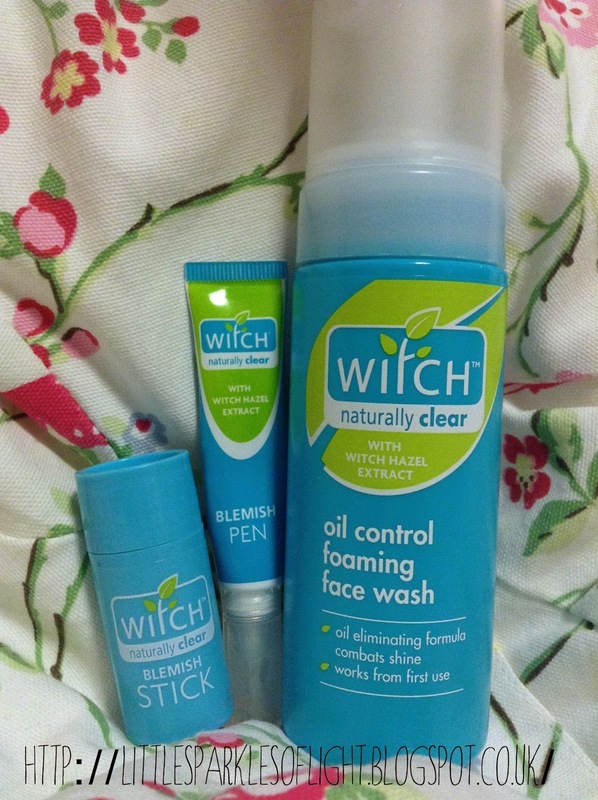 Witch Face Wash And Blemish Sticks Review! Witch Naturally Clear face wash/spot cream review! Hello there! Today I'm doing a review on three of the witch products. Starting off with the blemish stick on the left, now this one is the same as the middle blemish pen except its a stick. You use it like a lip balm, just push up from underneath and it's ready to use. They both also have different textures, the blemish STICK is like a lip balm texture and the blemish PEN is wet and gooey. But which one works best? I would say the blemish stick works best, it does have a slight burning sensation when I apply it to my face but that may just be the type of skin I have (very dry.) But that does mean it's working to fight off the bacteria that causes the spots. The blemish pen has a brush on the end of it so you just squeeze the tube and then brush it on. This one doesn't hurt when I put it on at all, but I do have to rub it in using my finger after which you don't have to do with the blemish stick. So I would say my favorite is the Blemish Stick. The face wash is obviously very different to the blemish pen/stick but it does the same thing. It comes in quite a big pot and has a nozzle at the top, which you press down and foam comes out. I think it smells very fresh, perfect to wake you up in the morning and to clear your face at night. The foam doesn't hurt my dry skin and is very easy and quick to wash off. It claims that it 'combats shine' and 'works from first use' and I wouldn't disagree with either, after putting it on at night it does make your face smoother by morning. I think it's a very good face wash as are the blemish sticks and I recommend them if you are having trouble with dry skin or spots. If you are interesting in buying these then click HERE.